Our time at AABC’s Birth Institute 2018 is coming to a close, but Marketing TEA is going to save the best event for last: our marketing presentation! 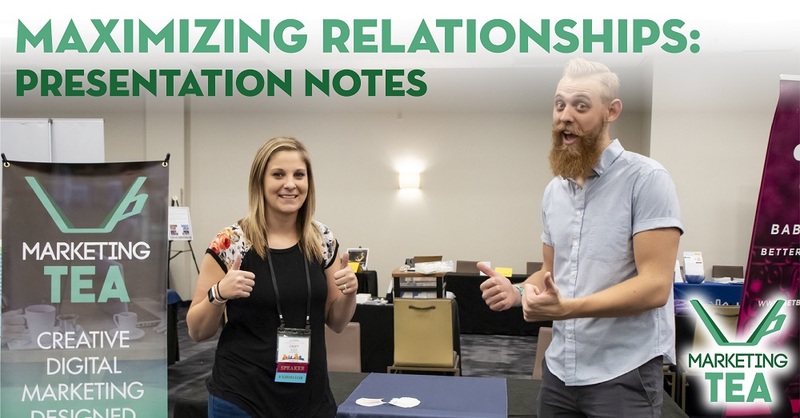 This year, our theme is on Maximizing Relationships, and it’s a perfect fit for the conference so far. What are we talking about? You guessed it – content marketing. What is content? Content is one of 3 things – videos, photos, or written pieces of info that you put out into your community to build relationships. Specifically, we’re talking about ORIGINAL, unique content that you create yourself that revolves around your business. Why should I put my focus on content marketing? Well, we talked about a lot of reasons in our session, but let’s focus on just one for now. Imagine multiplying your best information and interactions with potential clients to THOUSANDS of potential clients who would benefit from your care. It’s really that simple. How do you go about creating that information or that content? Our focus for you is on documenting. Don’t try to create the next viral video or article every time you work on your content! Hopefully you caught our demonstration on how to use micro-content to create lots of pieces of content from one simple idea. If not, ask us about it sometime! What can you do today to begin creating content? Well, we have a lot of resources for this, but if you want to see some excellent examples, check out this blog post on our content checklist for AABC’s Birth Institute 2018 for inspiration. And there you have it – our biggest topics that we covered at our marketing session. Stay tuned for some videos straight from the presentation! Want to learn even more? Get in touch with us, and we’ll give you practically the whole spiel anytime. We love talking about content!